Unlock Sony Ericsson Xperia P (LT22i) - Safe IMEI Unlocking Codes for You! 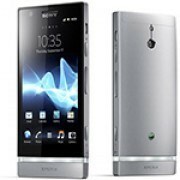 Unlock Sony Xperia P (LT22i) Handset! In case your Xperia P (LT22i) doesn't ask for the code and there is no designated field to enter it, please DON'T PLACE ANY ORDER, contact us first for support. Owning a smartphone can help your daily life greatly, but not being able to choose the best mobile network suitable for you can often ruin that experience. On top of this, it usually ends up costing a whole lot more to unlock than is affordable. Luckily, SafeUnlockCode can help you to unlock your phone at a much greater cost. It’s also super easy, safe and quick to unlock through us- after receiving your code, unlocking your Xperia P will take just one minute! Not looking to unlock the Xperia P but want to unlock a different handset instead? Check out our full list. Once you are unlocked, you’ll be able to use your Xperia P on practically any GSM network across the world, including well known networks like T-mobile, Koodo, Telus, Bell and dozens more. IMEI - (this can be found by dialing *#06# or by looking for it on the sticker found underneath the battery. We’ll need the first 15 digits of your IMEI. Country - We’ll need the country your Xperia P was purchased in. Network - As you can guess, we’ll also need the network your P is locked to. We also advise you to check if your phone is hardlocked. If you are hardlocked, you will NOT be able to get your phone unlocked through us. If this is the case DO NOT place an order with us. Secondly, turn on the phone and wait for it to power up to the ‘emergency calls’ screen. Next, type in Menu Back Back Menu Back Menu Menu Back OR dial *#*#7378423#*#*. The number alongside the network represent the amount of attempts you have left at unlocking your device- 0 means you are hardlocked. How to Unlock Sony Xperia P (LT22i) Phone - Tutorial! Like mentioned before, we’ll need your IMEI number, your country, and your Xperia P’s current network, a well as an email address so we can send an unlock code to you. Once you’ve given us this information, you can proceed to pricing and availability and then move onto checkout. Enter the unlock code when it prompts you to. Your phone will now be unlocked. 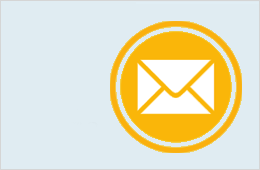 If you are having problems with this process, make sure to send us a message! Hi Mr Admin please i can't use my phone Xperia P (LT22i) IMEI 3522,6505,8494413. Hello Chidi! We should be able to help you. Please use the order form if you have other issues just let us know. Thanks for the code i can use my phone now with any sim network. Thank you for your kind words and for being our client Mae!